Two people were injured Thursday evening in a two-car crash Illinois Route 185 at Fayette County Road 1800 North. 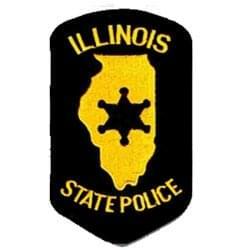 Illinois State Police say preliminary investigative details indicate a car driven by a 17-year-old Fillmore resident was traveling north on Illinois Route 185 two miles north of Vandalia when she hit the rear of a car waiting to make a left turn. The driver of the car that was struck was driven by 35-year-old Joshua McCarty of Fillmore. State Police say the 17-year-old driver and a 16-year-old female in her car from Irving were transported to the Fayette County Hospital for treatment. The 17-year-old driver was also ticketed for failure to reduce speed to avoid an accident.